Spectacular Views is the perfect home away from home for the Olympics. 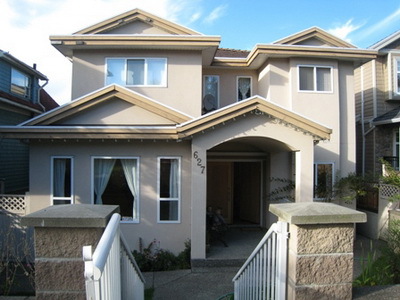 This house is situated in the centre of Vancouver on a hill overlooking city hall and downtown. 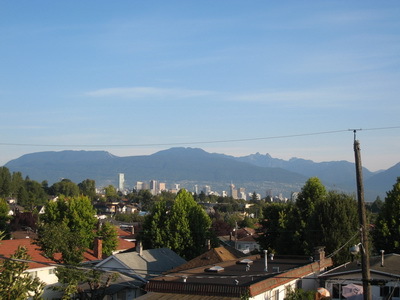 This warm and spacious home boasts incredible panoramic views of Vancouver's magnificent North Shore mountains. With its ideal location and spectacular views, this beautiful, two-level home with four bedrooms and four bathrooms and a secured, 2-car garage is your ultimate Vancouver headquarters for the Olympics. 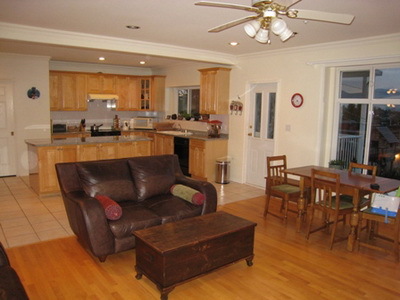 This is a very comfortable open-concept home with high ceilings, in-floor radiant heating and amazing natural light. As you enter the large double oak doors at the front, you are greeted by an elegant foyer which opens onto a roomy formal living room. The formal living room has beautiful hardwood floors, an upright piano, and three comfortable leather sofas surrounding a gas fireplace. This space transitions into the formal dining room with a graceful crystal chandelier over an antique table with seating for twelve. 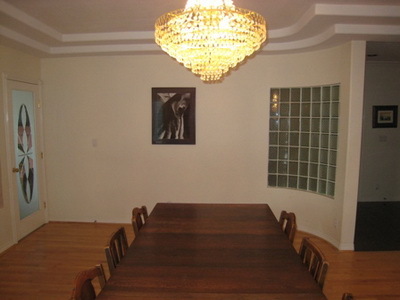 From the dining room you pass through a glass door into the combined kitchen and family room. 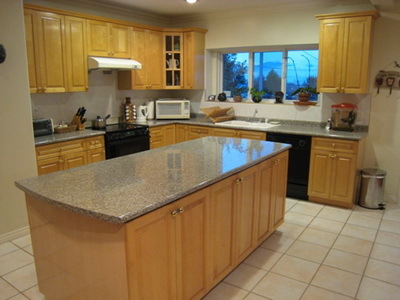 The large gourmet kitchen has a breakfast nook area with a bay window overlooking the North Shore Mountains. The family room area has plush leather sofas in front of a large flat screen satellite television mounted above a second gas fireplace. 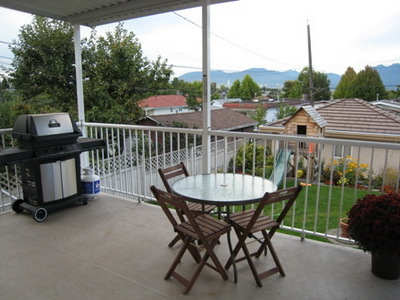 The kitchen and family room opens onto a covered deck with a propane barbeque and stairs to the back yard and garden. 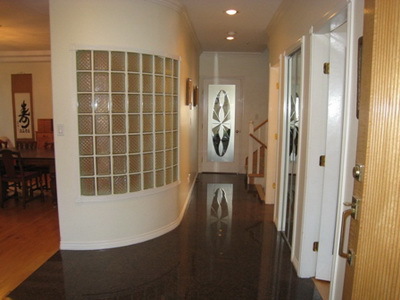 As you leave the family room you travel down the hall towards the powder room. 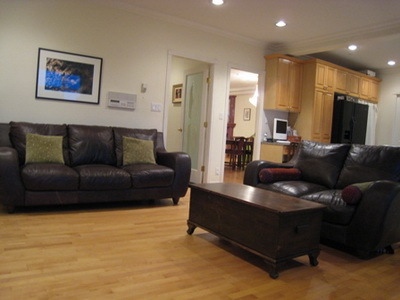 You will then find a children's playroom and the stairs to the upper floor. 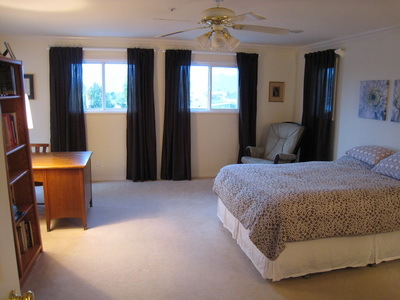 Spectacular views continue in the upstairs master bedroom with large windows and a romantic covered deck overlooking the Vancouver skyline and the North Shore Mountains. The master bedroom is the definition of luxury with dramatic chocolate brown floor to ceiling drapes, a king sized bed, and a five piece bathroom including large whirlpool tub and bidet. There are three additional bedrooms on the upper floor, two of which share a jack and Jill four piece bathroom and one bedroom with its own four piece en suite bathroom. All the bedrooms each sleep two people. The first bedroom has a queen bed, the second bedroom has a bunk bed and the third bedroom has a double bed respectively. 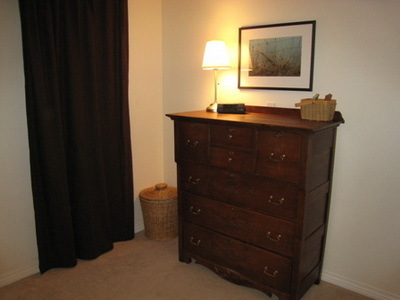 There is more than enough room to make your stay comfortable and hassle-free. For those travelling with children, look no further. This house not only has a playroom stacked with toys but, it is also equipped with every necessity for babies and small children including cribs, high-chairs, ride on toys and a playhouse. 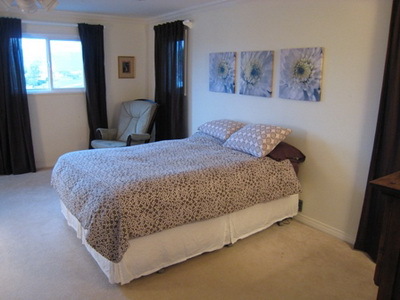 If you need more room, there is an option to rent out the 2 bedroom basement suite as well. So no matter how big your group, this house is right for you. Spectacular Views is situated in the Riley Park neighbourhood. Just a five minute walk to Main Street which is well-known for local designer boutiques, funky restaurants, coffee shops, lounges, and antique shops. Other nearby amenities include, a large grocery store, pharmacy, bakeries, an organic grocery store, several produce stores, and a liquor store. You can take in the lively nightlife on Main Street or enjoy a swim or skate at the Riley Park Community Centre. 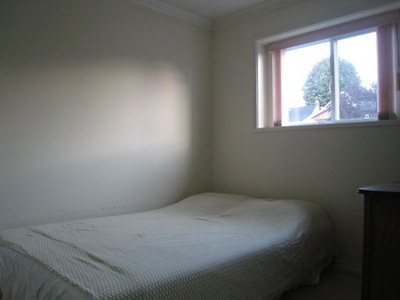 Additionally, the house is within half a block of public transit to anywhere in the city. The Vancouver Olympic Centre is within a five minute walk, and Richmond Skating Oval, Canada Hockey Place, as well as Pacific Coliseum are all within a 15 minute bus ride. UBC Thunderbird Arena and Cypress Mountain are a short 25 minute bus ride. With all of Vancouver at your doorstep, there is no better way to stay in comfort and convenience at the 2010 Olympic Games. Book now to secure this incredible location! 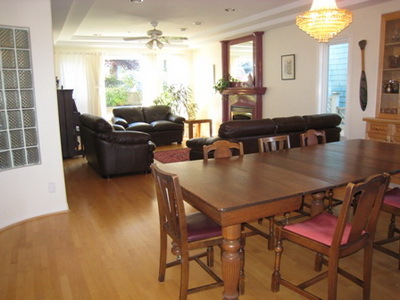 The staff at EMR Vacation Rentals was very helpful to my family as we planned our Vancouver Olympics travel. They helped us find a wonderful property, Spectacular Views, that met our needs and timeline. 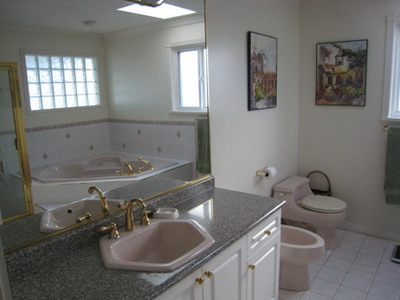 The property matched both the posted description and our expectations. It was well setup, for multiple families and the child-friendly amenities, complete with play room was great for small children. The greeter was very kind and patient with us, as we got a little lost in downtown Vancouver and arrived late. The property instructions were very detailed and helpful. This included everything from how to work TV remotes, internet access, coffee grinder and press instructions to garbage pickup. We loved the warm and friendly Canadian people we met and appreciated the thorough arrangements with EMR Vacation Rentals.